Atlanta is the capital city of Georgia State. It is the ninth-largest metropolitan area in the United States. 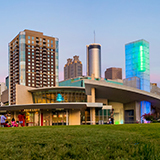 Atlanta has a rich, captivating history which includes the likes of Dr. Martin Luther King Jr. Touristic attractions of this city, includes the Martin Luther King Jr. National Historic Site, Centennial Olympic Park and the Fox Theatre. Cheap flights to Atlanta are available for a limited period, so pack your bags and find out the many reasons why many love to call this city home. Atlanta is home to Atlanta Hartsfield-Jackson International Airport (ATL), which is the busiest airport in the world. The 19th century Capitol Dome has been the most iconic symbol of national unity in the U.S. Featured in many famous films, it’s a site worth every picture and visit. 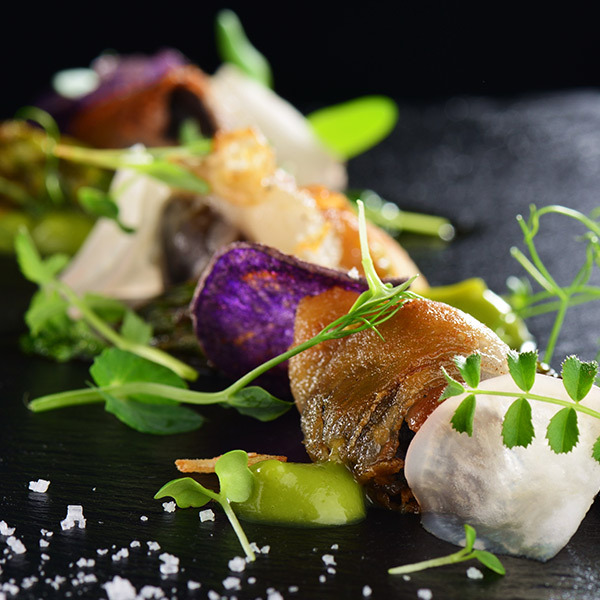 For a beautiful taste experience, visit Linton’s, which is one of the few restaurants in the world to be housed in a botanical garden, offering tantalising dishes. 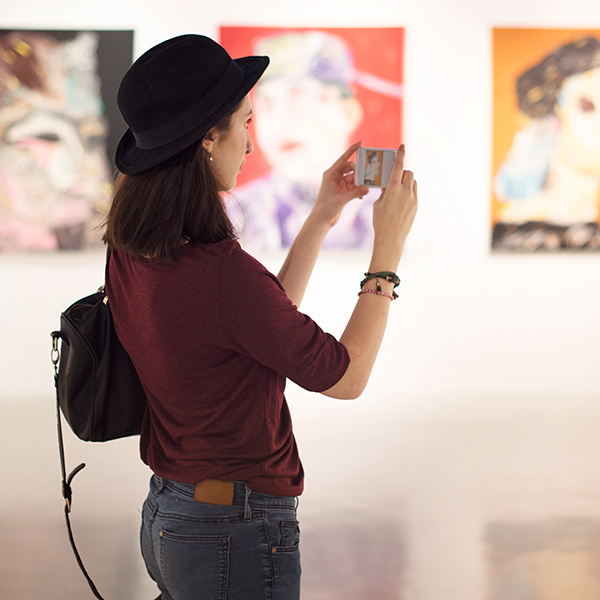 Atlanta is every art enthusiasts dream, filled with the modern art of High Museum and the many Broadway plays at Alliance Theatre. There are also plenty of colourful attractions to explore. The best time to visit Atlanta is from May to August as these are the warmest months of the year in Atlanta. The city can be over-crowded over these summer seasons but they offer the best concerts and outdoor activities you will not want to miss out. Atlanta’s constellation of exceptional restaurants, diverse musical heritage and beautiful landscapes are what make it the most visited city in the United States. Atlanta represents the cultural and economic centre of one of the most important metropolitan areas in the United States. This unforgettable city welcomes more than 35 million visitors annually and has what it takes to keep them entertained. 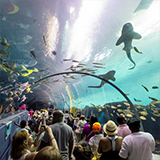 From various museums, commercial centres and outdoor tourist attractions, like the Atlanta Botanical Garden, which comes to life during warm spring days, to the biggest indoor aquarium ever built. 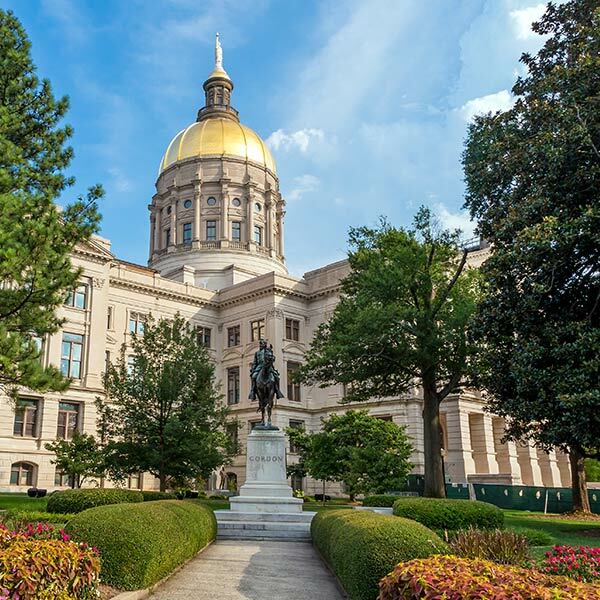 Atlanta has so much to offer, so to ensure you get the most out of your trip, visit the many tourist offices scattered across the city for your guide to unfolding this remarkable city. Compare several airlines, and book your cheap flights to Atlanta online at Travelstart! This city is not as dangerous as many perceive it to be. Violence can still be experienced in some parts of Atlanta, which is why it is advised to remain vigilant at all times. This is a city that can be enjoyed by most new visitors so long as the necessary precautions are taken-like when visiting any other major city in the world. 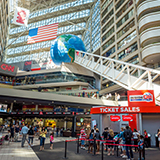 Atlanta welcomes more than 35 million visitors annually and has what it takes to ensure that every visit is as enjoyable as the previous and the next. There are numerous forms of accommodation in the city, from 5 star resorts to more affordable back-packer lodges for the overnight traveller. Make sure to book well in advance as the city does get very busy over the summer season. The best way to get around when visiting Atlanta would be with MARTA. MARTA is the city’s public transport system which operates both bus and rail lines throughout the city. Alternatively there are car rental options that are available at the airport and a few dealerships around the city. There are also taxis which can be used, so getting around in Atlanta whilst visiting will never have to be a stressful process.